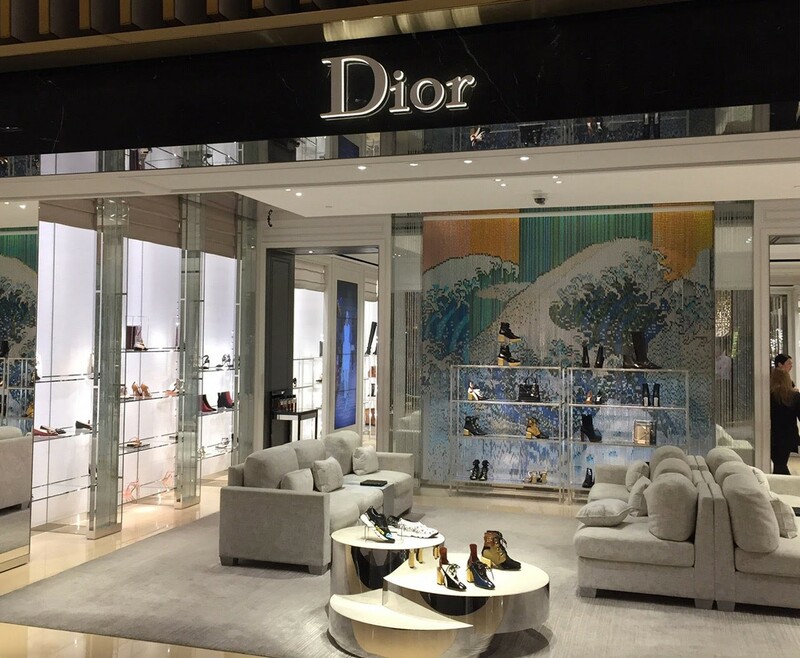 Located in the largest shopping mall in the world, the shoe section of the Dior Showroom includes a 3-layer space divider of Kriskadecor. This solution, made with anodized aluminum links, generates a dramatic atmosphere and a great impact on the interior design. What we see is the reproduction of a part of the work "Poppies and Gold Wave (after Hokusai)" by the British artist Philippe Bradshaw, which was exhibited at the Thaddaeus Ropac gallery in Paris. 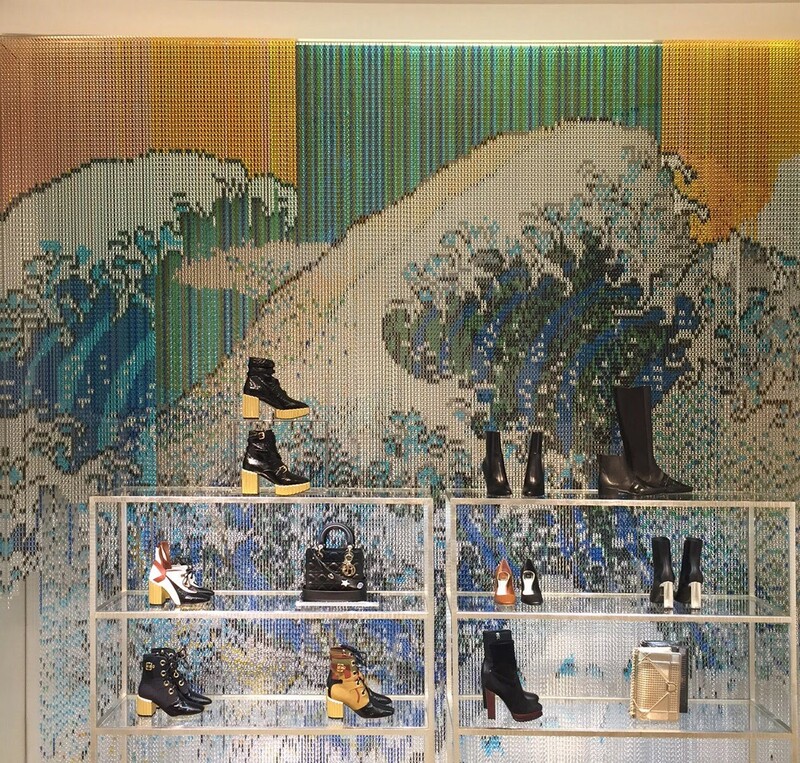 The piece is based on "The Great Wave off Kanagawa", wood engraving by Japanese artist Ukiyo-e. 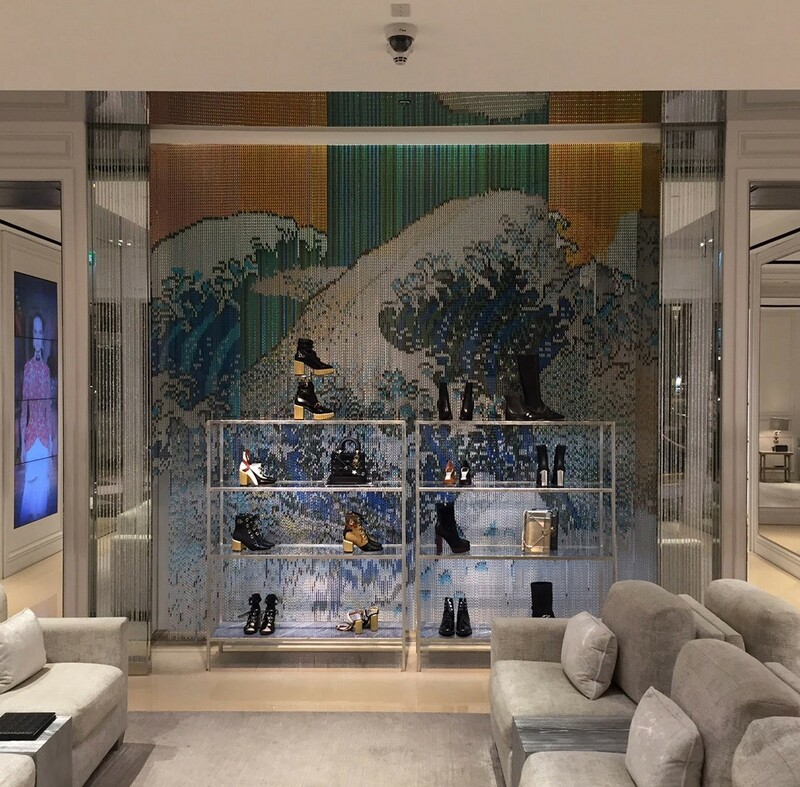 Thanks to its patented technology, Kriskadecor can reproduce any picture, pattern or corporate design in which every link act as a pixel.